Eight teams in the NBA’s Western Conference are competing for six playoff spots. The stakes are enormous for all of the teams, with potentially significant implications, from star players eyeing the exit or coaches going on the hot seat. With less than a month remaining until the postseason, the playoffs have essentially already begun for these eight teams. The NBA playoffs are less than a month away, and in the Western Conference, the race for the final six seeds looks like an increasingly brutal one. Currently, just six games separate the third-place Portland Trail Blazers (44-26) and the 10th-place Los Angeles Clippers (37-32). And if we cut out the Blazers, who are riding a 13-game winning streak, only four games separate the fourth-place Oklahoma City Thunder and the 10th-place Clippers. The race is sure to leave two franchises heartbroken. The Clippers are on pace to win 44 games and may very well miss the playoffs. All eight teams in the race are deserving postseason teams. The stakes involved for all eight teams are making the race even more intense as missing the playoffs would be disastrous, or close, for all. The teams that do miss the postseason might be forced to go through significant change. Many of the eight teams competing for the playoffs will have to answer to unhappy superstars if they miss the postseason. Two stand out in particular, however: Damian Lillard with the Portland Trail Blazers and Anthony Davis with the New Orleans Pelicans. Lillard and Davis might put pressure on their organisations if they were to miss the playoffs. Lillard reportedly met with team owner Paul Allen in January to ask if the team was focused on contending for a championship and if they had plans to continue improving the roster. Lillard didn’t threaten a trade or express a desire to play elsewhere, but the message was clear – he wants to compete. 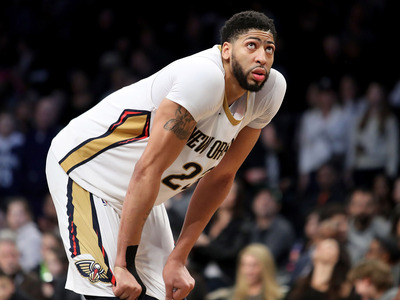 Davis has carried the Pelicans into the playoff race, even after what looked like a devastating injury to DeMarcus Cousins. But if the Pelicans flame-out and miss the playoffs for the third year in a row, it will raise questions about his future in New Orleans. With only two more guaranteed years on his deal after this, teams will no doubt circle Davis, seeing if they can pry away an unhappy superstar from a spiraling franchise. Stars with their eyes on the door. Perhaps no team is as all-in as the Oklahoma City Thunder. The Thunder traded for Paul George and Carmelo Anthony to build a super-team around Russell Westbrook. While they secured a victory in getting Westbrook to sign an extension, missing the playoffs would be a disaster. 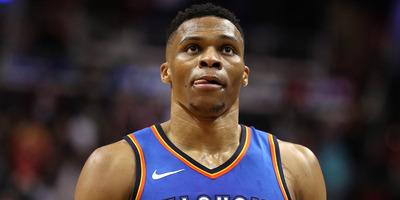 Not only would it likely push George out the door, raising further chatter about leaving the Thunder in free agency this summer to join his home-town Los Angeles Lakers, but it may have a ripple effect to Westbrook. Westbrook surely wouldn’t be happy about seeing the second star forward leave in free agency for a California franchise. Oklahoma City will struggle to recruit in free agency, and with Westbrook turning 30 next season, he could wonder if his best chance to contend is outside of OKC. Likewise, the Minnesota Timberwolves also went all-in by trading for Jimmy Butler this past June and then spending big money in free agency to surround their core of Karl-Anthony Towns and Andrew Wiggins with veteran players. Butler will be entering a contract year next season and is one of the most fiercely competitive players in the league. Wiggins, meanwhile, will begin a five-year, $US146 million extension, and believe it or not, contract extension talks for Towns are not far off, either. The Towns-Wiggins combo has not gelled as planned, and missing the playoffs may not suggest to Butler that the future is promising in Minnesota. The Spurs are in danger of missing the playoffs, which is one of the most surprising developments of the NBA season. Injuries have weighed down the NBA’s most stable franchise, threatening to end a 20-year playoff streak. At the heart of the issue is Kawhi Leonard and his mysterious health status. Leonard has played just nine games this season, and nobody is sure if he’ll return this season or not. 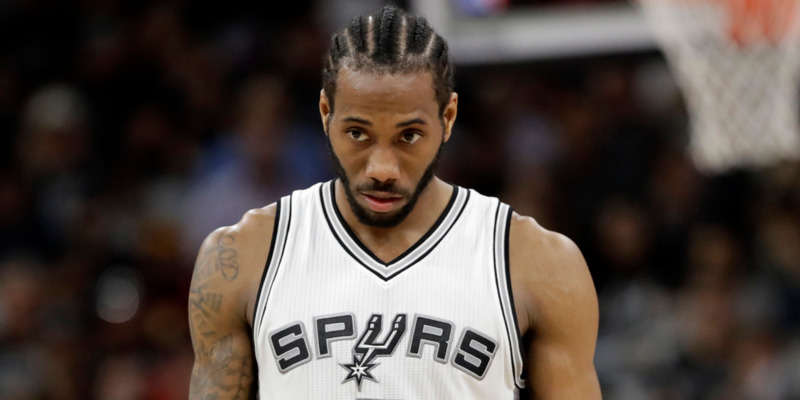 With reports revealing a divide between Leonard and the Spurs, it puts the team in an uncertain direction with one of the league’s best stars. Additionally, things are bound to change in San Antonio. Mainstays in Manu Ginobili and Tony Parker are 40 and 35, respectively, while Pau Gasol is 37. LaMarcus Aldridge, their current best, healthy player, will turn 33 this summer and has already asked for a trade before being talked down by Gregg Popovich. Would he ask for one again if the Spurs miss the playoffs? The Clippers may find themselves in a similar boat. They appeared to be preparing to tank when they dealt Blake Griffin in January but then stood pat at the trade deadline. 538 gives them just a 29% chance of making the postseason, and if they miss the playoffs, they have looming questions about their core going forward. DeAndre Jordan is likely to become a free agent at the end of the season and Tobias Harris, part of their return for Griffin, is entering a contract season. With team owner Steve Ballmer reportedly determined to win a championship, would committing a lot of money to a middling core be the best move? The Denver Nuggets aren’t quite as all-in as teams like the Thunder and Wolves, but they’re close. They signed Paul Millsap to a $US90 million contract last summer, extended Gary Harris, and will soon need to extend star center Nikola Jokic. If the Nuggets miss the playoffs, changes will be coming,according to ESPN’s Zach Lowe. That may just mean a switch on the assistant coaching staff, but it could also make head coach Mike Malone’s seat hotter. The pressure is on. If the Nuggets miss the postseason, they will only have themselves to blame. The Nuggets are 6-6 since the All-Star break, with four losses to teams currently outside of the playoffs. The team facing perhaps the least amount of pressure to make the playoffs is the Utah Jazz – and they’re in fifth place. Buoyed by a stingy defence and the emergence of rookie guard Donovan Mitchell, the Jazz have been one of the NBA’s surprise teams. One year after losing Gordon Hayward and George Hill in free agency, the Jazz are on pace to win 47 games. The Jazz would still love to make the playoffs. Utah is not a top free agent contender (as seen with Hayward), and another year in the lottery only hurts their chances of recruiting. Still, no one would blame Utah for missing the playoffs this year, and adding another lottery pick would not be the worst outcome for them. With about three-and-a-half weeks remaining, all of these teams’ playoffs essentially begin now. Every game matters and a three-game winning streak or three-game skid could make or break a team’s postseason hopes.